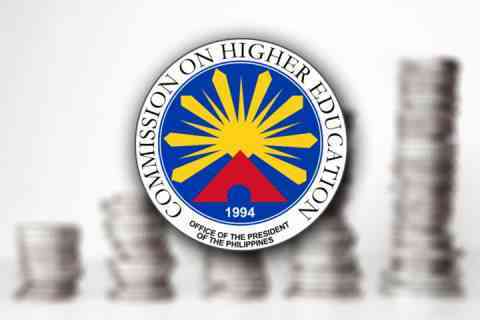 The Commission on Higher Education (CHED) reminded its scholars on the existing directives and new updates on the submission of documents and processing of living allowances. Scholars and grantees under CHED’s Scholarships for Graduate Studies – Local (SGS-L) of the K to 12 Transition Program Management Unit (PMU) are given new updates on the submission of documents for 2016 scholars to the CHED regional offices; use of the new certificates of de-loading; deadline for submission of documents; and last call for claims for Academic Year 2016-2017. “Likewise, the CHED Regional Offices shall only forward the documents to the CHED Central office once the documents have been verified as complete and valid,” CHED said. “For avoidance of doubt, the scholars may submit to the nearest CHED Regional Office,” the Commission added. CHED noted that in compliance with the Memorandum from the Chairperson dated September 7, 2018, the sending Higher Education Institutions (SHEIs) were “required to submit monitoring reports for their nominated scholars that included the updated Certificate of Deloading (COD). “It is noted that the COD is a requirement for the processing of all privileges,” CHED said. “Given that the deadline for the monitoring reports was last November 5, 2018, the Commission wishes to follow-up the submission of such pertinent documents,” the Commission stressed. In order to ensure that “fully compliant scholars are prioritized for processing,” CHED is also “implementing a deadline for the submission of claims for enrolled terms.” Given that the academic calendars of the Delivering HEIs (DHEIs) are varied, CHED said that “deadline shall be on the last working day of the month after the enrolment period.” For example, if the date of enrolment is January 15, 2019, the deadline of submission will be February 28, 2019. Likewise, if the enrolment date is April 2, 2019, then the deadline of submission will be May 31, 2019. “The documents must be complete and valid at the time of submission to the CHED Regional Offices,” CHED said. “The CHED Regional Offices shall likewise endorse the documents of those within the deadline separately from those submitted beyond the deadline,” it added. CHED also announced the last call for claims for AY 2016-2017. “All scholars with pending claims for allowances and other privileges are advised to submit complete and valid documents for the same on or before 31 March 2019 (Friday) to the CHED Regional Offices,” CHED said. CHED reminded all scholars that according to the policies of the scholarship, they are “required to follow the guidelines” periodically released by the Commission. “Any deviation from the instructions in the advisory shall mean a delay in the release of allowances,” CHED said. “Priority shall be given to those who follow instructions according to the guidelines set by the Commission,” it said.